Okay, you know my books, The Fourth Queen and The Lost Queen. 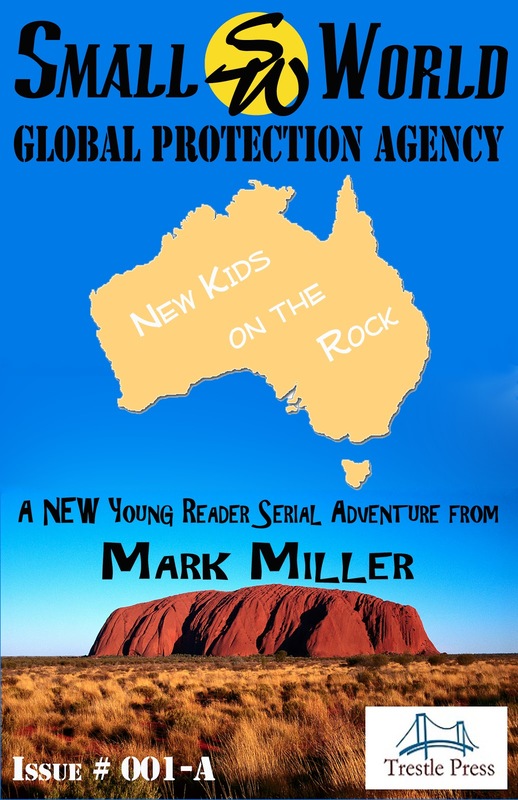 You know my short stories from One and Small World Global Protection Agency. You know my writing is safe, clean and fun for the whole family. Maybe you don't know I have a guilty pleasure: Zombies! I watch the movies. I read the books. I play the video games. So when my fellow Trestle Press authors Darren Sant and Sam Lang started a new zombie series called Severed, I was hooked. The debut story, In the Beginning, was strong on characters and had such a huge scope. So, I got with them and dazzled them with my hard-hitting journalism. Without further ado, I would like to welcome Darren and Sam to the Land of Empyrean. ME: What made you want to write about zombies? What is their appeal to you? SL: It seems that many of the horror greats have tackled the subject. I've wanted to do a zombie story for some time. When I heard Darren on Giovanni Gelati's G-Zone talking about it, the opportunity presented itself. I wanted to do a different take on what's been done and working with Darren, I think we are going to accomplish that. My appeal to zombies is the sheer hopeless, faceless horror. With a vamp or a werewolf, you can give it a name then kill it. Zombies keep coming and they come in droves. They are mindless, but with a singular purpose. Kind of like trying to stop the ocean from hitting the beach with a five gallon bucket. DS: For me the appeal is not so much the zombies as the scenario. I’ve always enjoyed post apocalyptic end of the world stories. How do people cope? How do they survive? What do they do? I like the thought that we could all start again afresh from the ashes of the Old World that has so much wrong with it. ME: Wow. Hopeless and apocalyptic. You two must be barrels of fun when you get together. Of course, I'm aware that Sam is in the US and Darren is in the UK. Now, writing is a typically solitary endeavor. How is it collaborating? How do you divide the work/ideas? Any unusual challenges? DS: The challenge is keeping up with Sam. The man is a turbo charged Energizer Bunny of ideas. We’re looking at sections and chatting about how they might pan out. My flair as a writer of short and flash fiction primarily is for creating short scenes. Sam, he may disagree with me, has a better idea of the big picture. SL: I typically prefer to be alone, writing or not. Darren is a fantastic writer and so easy going. We get along famously! Luckily, we are basically on the same page all the time. We email back and forth only to find out we have each had the same idea. As to dividing the work, it's been organic so far. We both contribute equally to the end result and I think you will see that flourish more in the second installment. The only challenge I've encountered is the difference in our time zones and that is not really a factor. ME: It seems that you compliment each other very well. I'm excited to see where you take this series. Can you give any hints to what we can expect? Is there an end goal? SL: Oh, I don't like to give away the surprise. We'll see what Darren has to offer, but all I will say is that it is shaping up to be quite huge. DS: Nope. Because then we’d have to kill you. Let’s just say you’re in for a wild ride that will feature more super natural creatures and action from around the globe. ME: I definitely don't want to be zombie food! To be safe, I'll change the subject. What else are you working on at the moment? SL: I've turned over my contribution to the Drunk on the Moon series to Paul D. Brazill. Beyond that, we should see the next chapter of Reprisal very soon. I've got some more convicts to parade out before we get to the really gruesome stuff. DS: My third Longcroft story, which I can exclusively reveal, will be called Temple and the Cross is nearly finished. I’m working on a collaboration with Cody Toye, another Trestle author. I have a hard boiled story for Trestle in November and various other projects that I shouldn't have taken on because I want a social life! ME: Very nice. You both seem to be extremely busy. Darren, thanks for giving me the exclusive on the title to your new Longcroft story. I did read the first two stories and thoroughly enjoyed them. Back to the zombies, what are your influences? DS: Night of the Living Dead as a film. The excellent new series Walking Dead. Fiction wise there was an excellent zombie anthology I read this year by Wild Wolf publishing called Holiday of the Dead. That was a huge anthology and it has inspired me a lot. SL: The first and last movie to ever truly scare me was the original Night of the Living Dead. George Romero keeps doing it right, Land of the Dead was excellent as well. Bookwise, I've got my eye on Death Troopers. What could be a better combination than Star Wars and zombies? ME: Star Wars undead? Sounds fun. It seems that you both must have been warped by the Night of the Living Dead. One of you being from Florida and the other from Hull, do you find your nationality playing a factor or bringing something unique to the stories? SL: Other than some familiarity with some of the settings, I can't think of anything specific. Horror is one of those genres that speaks to the heart in any language. DS: Hmmm. A good question. I think my Britishness is more a state of mind. I have a certain humour that is very British. I also do melancholy very well, perhaps because we are a cold miserable rained on lot over here in Blighty. ME: England does seem to be quite dreary. Just kidding. Darren, I suspected you were a bit of a comedian. Does anyone ever mistake you for the actor Matt Lucas? I saw him in Krod Mandoon and the Flaming Sword of Fire. Funny guy. DS: Annoyingly that comparison has been made. It makes me want to swear. I wouldn’t mind the little man’s cash that’s for sure. Joking aside he’s a rare comic talent and I could have been compared to worse. ME: Well said. Sam, my last question is for you. I'm on Facebook too much and I've noticed a lack of photos of you. SL: Some of the skulls on my covers are more attractive. But seriously, I enjoy my privacy and solitude. ME: That's understandable. Social media can easily become pretty invasive. I want to thank you both for taking the time to answer my questions. I'm sure our audience will enjoy reading what you have to say. By the way, as of this writing, I saw Severed made it to #78 on Amazon UK. Congratulations and I hope it keeps going! Severed: In the Beginning is available from Trestle Press on Kindle for ONLY 99 Cents. The cool breezes of October seem to slip by us as time moves silently, like a stage hand behind the curtain changing props and set pieces. Before this month ends, you will have the opportunity to read the next installment of the ONE series. Dr. Candy takes us to the other side of the world. Author Sudè Khanian does not hold back with the raw power of her tale. She shares two stories of love. The first story challenges the reader with a man facing decisions about God and what is considered “normal”. The intertwining tale is one of life and how the unexplainable can sometimes intervene. I took some time to ask Ms. Khanian some questions about her entry into the series. ME: What was your inspiration for this quite moving story? SK: It was Mark and the goal behind his One series that not only inspired me but also gave me the heart to speak of what I never intended to share with public. ME: Thank you, but I don't want to take any of your credit. The story is very personal and I felt the emotion when I read it. One of your characters is a cross-dresser, that might be a sensitive topic for some. I am glad you had the courage to share something so personal. I have read some of your other writing and you don't shy away from the emotional, personal experiences. How long have you been "putting yourself out there"? SK: The first story that spoke to my mind and moved my hands against my conscious came to me around a decade ago (It called itself Paradise Victim). But as for writing down my thoughts, I have been doing it since I was 16. ME: That is an impressionable time to start. Definitely a lot of new experiences in a person's life at that age. Now, I know it wasn't that long ago, but in the time you have been writing, have you developed any interesting habits or eccentricities when it comes to putting words on paper? SK: Not sure what you’re meaning by it but I usually write the story loosely in my mind before bringing it into the paper but when it comes on the paper, it goes its own path and most time surprises me. The point is, I bow to the ideas instead of expecting them to praise my mind. Maybe that is a habit. I wouldn’t know. ME: I wouldn't call it eccentric, but it is unique. You seem to be at the mercy of your inner thoughts and passions. That lends itself easily to our ideals on this series. Letting that inner voice speak can expose readers to your faith and beliefs. Is there something more you would like to share about yourself and your faith that cannot be found in Dr. Candy? ME: That is what Dr. Candy is about. More so, that could be a universal truth. The idea of finding common ground in others that appear so different than ourselves is both simple and profound. Too often, we are all guilty of judging by looks. Your beliefs present themselves as strong and deep rooted. Are there any influences that guided you to this spot? Any particular writers, maybe? SK: I am not sure if I am influenced by any source other than the ideas themselves. As mentioned earlier, I let the ideas boss me as I trust them better than my earthly intellect and let them go wild beyond my thinking. They dictate where to start, where to end, and they know no rules. But if you wish to know which writers I favor the most, Borges and Italo Calvino are two of my favorites. ME: I'm not nearly so well read. I'm going to smile and pretend to know Calvino. Then I will quickly follow up with who are some of your spiritual influences? SK: It is funny, when it comes to writing which is a supposed task of mind, I let the metaphysical world take over my hands but when it comes to spiritual beliefs, I choose to trust my judgment than the spiritual signs or gurus. So I guess your answer is ‘my eyes’. ME: That is fascinating. I would not have expected any other answer based on our previous conversations. Going into this, I expected you to be intriguing and a little mysterious. That being said, what is something you would like to tell us that you do not put in your public bio? SK: I don’t like spicy food. ME: Very good! I am the opposite, I seek out the spiciest foods I can find. I've even tried the infamous Ghost Pepper. I suspect that is not on your list of things to do. What are your "To Do" items? SK: As for writing projects, I have recently finished On the Silk Road to Love and I am not writing any new stories anytime soon or if I am, I do not know that yet. 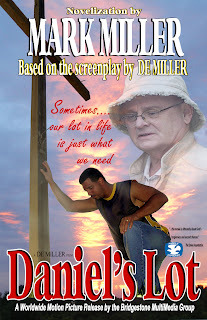 About other projects, I am studying the potentials of working with some UK studios to make a movie based on Alleged. Another project which is more of a hobby to me is my Virtual Universe Traveland.wall.fm. I am building a virtual version of the world with help of one person from each country in the world, the countries that are announced in the world map or those that only exist in the minds of those who believe theirs is wiped off the map or has never even been there. So far I have ambassadors from 29 countries. Some are active and some are a challenge to deal with but what I like about this virtual universe of mine is that though we’re all focusing on the differences between our countries and cultural traits, we’re not using those differences to draw lines but to praise one another. We celebrate our differences and respect it. ME: That's great! I hope our readers will visit your amazing Virtual Universe.You look to be very busy. I'm available to help write your movie script, by the way. Couldn't resist plugging myself. It's funny, but I often get the impression you are a serious person. I know from your writing in 30.5 and our emails that is not true. Here are a couple silly questions as a test to see how serious you are. When you finally stand before your Supreme Being, what will you ask? SK: What’s up with the world mama? ME: Mama, hmm? That is telling. Moving on, what flavor of ice cream are you? SK: Though not a fan of berries when it comes to picking my favorite ice cream flavor, I have a feeling I would be some type of sour berry, thinking maybe blueberry. Yea! Blueberry! ME: Funny. Ms. Khanian, thank you for taking the time to visit with me. It has been quite revealing. Your story, Dr. Candy, will be available very soon. 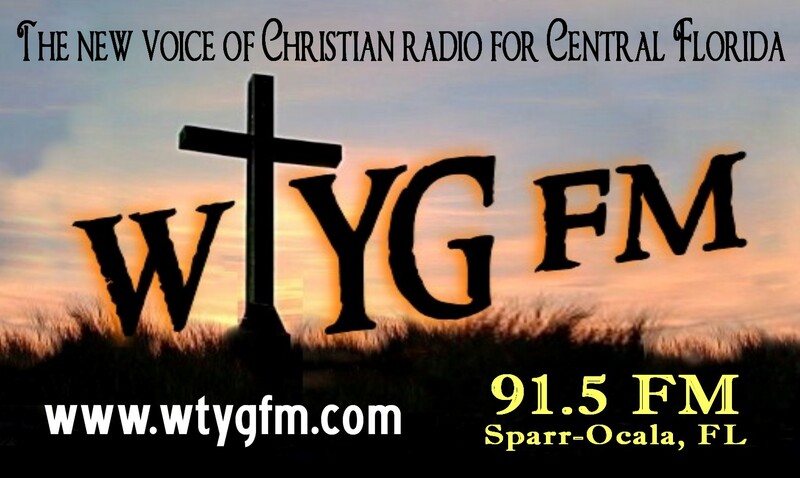 In the meantime, readers can listen to our turn on The G-Zone blogtalkradio show HERE. Please also visit our Facebook fan page and post questions or comments for any of the Authors of One. Lastly, I would like to say how excited I am that Dr. Candy will be the first of our series to appear under Trestle Press' NEW imprint Helping Hands Press! 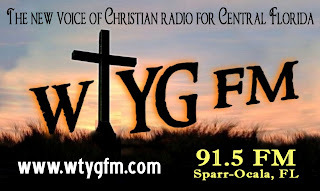 I am involved with a new Christian radio station preparing to go on the air in Central Florida. As this is a non-profit, it will rely heavily on volunteers and pledges. Besides the satisfaction of helping spread a good message, I wanted to give you an extra incentive. We all know money is tight these days, but if you can spare a little for a good cause, then I want to share my writing with you. For anybody that donates $5 or more, I will send you not one, not two, but three eBooks! Now these stories normally sell for $2.99, $0.99 and $0.99, a total of $4.97 plus Tax. So you will be getting your money's worth and it will be tax-free! There is a lot of inspiration and faith on these pages, why not be a part of it? Well, I did have an idea. A little while ago, I created a story about two unsuspecting fourth graders that suddenly find themselves in the middle of some serious, high-tech, international espionage. It is now available from Trestle Press. That's right, ten-year-old spies that travel the world learning about each country they visit. The stories are humorous, suspenseful and exciting. 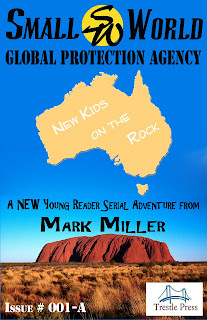 In Case File: 001-A, New Kids on the Rock, Josh and Madison start their adventure with the Global Protection Agency. Their first mission takes them to Australia to help teen pop singer Ja-Naya and discover what her evil manager, Feeble Bix is up to. Their counterparts, Mick and Kim, are ready for action as they head across the Outback. This is a great one for you teachers to read in class. Just ask my third graders from last year! That's right, in one week I will be at the Carolina Renaissance Festival in Charlotte, NC! October 14th & 15th, I will be appearing alongside Kalayna Price, Kendra Thomas, Jennifer Hudson Taylor and Linda G. Davis at Barnes & Noble's Sci-Fi & Fantasy Literary Weekend. The Carolina Renaissance Festival is one of the largest of its kind in the country. Aside from our special event, the festival has so much more to offer. Be sure to visit their site for details, schedules and discounts! I will be signing copies of my series, The Empyrical Tales. Book I: The Fourth Queen and Book II: The Lost Queen are available now from Comfort Publishing and Barnes & Noble will be selling the book at the festival. I am excited to be back in North Carolina by invitation of Comfort Publishing. This publisher is based in Charlotte and they are well invested in the local community. It feels good to be a part of something like that! Be sure to check out the other great authors that I will be joining. You may recognize Ms. Khanian from the "One" series. Her story is going to debut this month and it is worth considerably more than the 99 Cent cost. Well, 30.5 is the reason I wanted her to be a part of the "One" series. 30.5 is a collection of 31 reflectional fiction stories influenced by the author’s vaguest view point of the universe and her autobiography. It is much more than a collection. Each story is, in a way, a message to the author from a previous version of herself. 30.5 is philosophical and emotional. Many of the stories are very personal and the author exposes her inner being and deepest thoughts. The real beauty of this collection is in the author's prose. Khanian has a gifted style of writing that reaches out from the page and gently wraps the words around the reader, holding the reader in her embrace, sharing the intimacy of her thoughts. There are some intentional twists of the grammar and some unique word choice. With that in mind, it is more like reading lyrics to a song. Some of the stories spoke to me more than others. Some pulled at my heart strings. Some completely blew my mind. "Lampoon" - evoked thoughts of self-perception and our place in the world through the eyes of a bug. "Aegis" - the story of a mermaid longing for a different life. "Virtuoso" - perhaps the story that spoke to me most. The author speaks of limiting ourselves only to be overshadowed by our dreams. These are only three of the thirty-one stories in this collection. In the author's own words, there is something for everyone. Pegasus, roses, mermaids, Persians, angles, lonely hearts and wise elders. Aside from the beautiful words, the author has adorned the pages with her own artwork as well. Full color paintings and illustrations that vibrate with emotion. 30.5 is not a book for a quick read. It is a study, a thought-provoking journey. Take your time with this one and absorb everything it has to offer. Over the next several months, you are going to see me talking a lot about some other authors I am affiliated with through Trestle Press. These authors come from many different genres, but they all have one thing in common: We want you to read and enjoy what you are reading! I think what I'll do is give you a nice overview of several authors here. Then for the rest of the week, I will get in depth through some of my different social sites. Robert Ford is the author of The World of Hek, a supernatural series, and Curse of the Translucent Monster. Wenona Hulsey offers paranormal YA with Burden of Blood. Sam Lang, another horror author, has the Reprisal series and looks to be starting a zombie collaboration called Severed. S. L. Schmitz breathes new life into Bram Stoker's Dracula with Mina's Daughter, a steampunk series. These are the authors and that was only a sampling of what they offer. Watch for more posts and tidbits all week. This new series is aimed at Young Readers anywhere from 3rd to 6th grade and will be available only in eBook from Trestle Press. The monthly short stories will be reminiscent of the adventure serials of the 1940’s with a contemporary setting. Each episode will feature two ten-year-olds, Josh and Madison, as they secretly work for the high-tech, international Global Protection Agency to keep the world safe. The short stories will come in a two-part “cliffhanger” style and expose readers to interesting facts and details of the countries Josh and Madison visit. At the end of each two-part story, there will also be Points to Ponder: five questions or discussion starters to keep parents involved with their young readers! 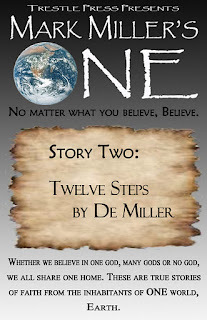 Miller is the author of The Empyrical Tales fantasy adventure series. Book I: The Fourth Queen and Book II: The Lost Queen are available now from Comfort Publishing and Book III: The Secret Queen is coming Spring 2012. From Trestle Press, Miller heads the spiritual anthology MarkMiller’s One and has worked with Giovanni Gelati in the Author’s Lab collaboration A Prince in Trenton, Seriously? Miller has also written the adaptation of the faith-based movie Daniel’s Lot, available from Trestle Press as well. He is a father of four with a background in elementary education and film. Be ready for Issue #001-A: New Kids on the Rock!